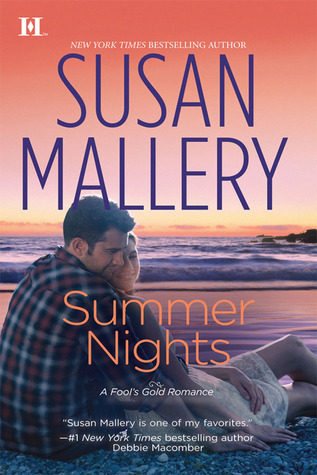 New York Times bestselling author Susan Mallery's newest Fool's Gold story proves that wild hearts cannot be tamed... Horse whisperer Shane Stryker is done with passion. This time around, he's determined to meet someone who will be content with the quiet life of a rancher's wife. And the fiery, pint-size redhead who dazzles him at the local bar definitely does not fit the bill. Small-town librarian Annabelle Weiss has always seen herself as more of a sweetheart than a siren, so she can't understand why Shane keeps pushing her away. Shane has formed the totally wrong impression of her but only he can help her with a special event for the next Fool's Gold festival. And maybe while he's at it, she can convince him to teach her a few things about kissing on hot summer nights, too-some lessons, a girl shouldn't learn from reading a book! As most of you very well know, I am a huge fan of the Fool's Gold series, I just adore the town, the people, everything about it. I want to be a part of it. Walk the streets, know the people, see the sights. It sounds like such a fabulous place to be a raise a family and settle down. Susan Mallery has a way about her writing that makes you fall in love with it all. It all feels so real and well, just wonderful. I loved the last book, Summer Days where we get to meet the Stryker brothers and family. I really liked Rafe but I have to say, Shane hands down, has totally won my heart. There is just something about his honest simple, pure ways that made my heart melt. The way that he fell for Annabelle and even his baggage. Yep, this cowboy was pretty darn unforgettable and that is saying a lot because usually I am not about the cowboys. And Annabelle? I adored her as well. She was so down to earth and a little feisty and so so caring and genuine. She is definitely someone I would love to have as a friend. And who could forget the misunderstoon Khatar, yep, he even managed to steal my heart. I don't think there was a minute of this book that I didn't enjoy, even the sad gut wrenching suspenseful moments wondering if Shane and Annabelle would finally pull it together and just be together and declare their love for one another already. Mallery did an amazing job with this one. I knew it was going to be good but not this good. I can't wait to read the next installment and learn more about Clay and Charlie. I know that will be a story I won't want to miss either and the best part about it is I know that I will get updates in that book about Shane, Annabelle, Heidi, Rafe and the town. Another outstanding addition to the Fool's Gold series! I love Susan Mallery & Fool's Gold is my favorite series! I can not wait to read Summer Nights! My plan is to read it on my side deck that over looks the city. I want to read it at night so I can see the city lights. It releases on June 26th!! Great review! Summer Nights was an excellent read and I absolutely recommend it and any of the Fool's Gold books to anyone who hasn't read Susan yet! Everworn by Hailey Edwards One Day Blitz! Writings From The Heart Blog Tour and Guest Post! Blood Jewel by Georgia Gates One Day Blitz!